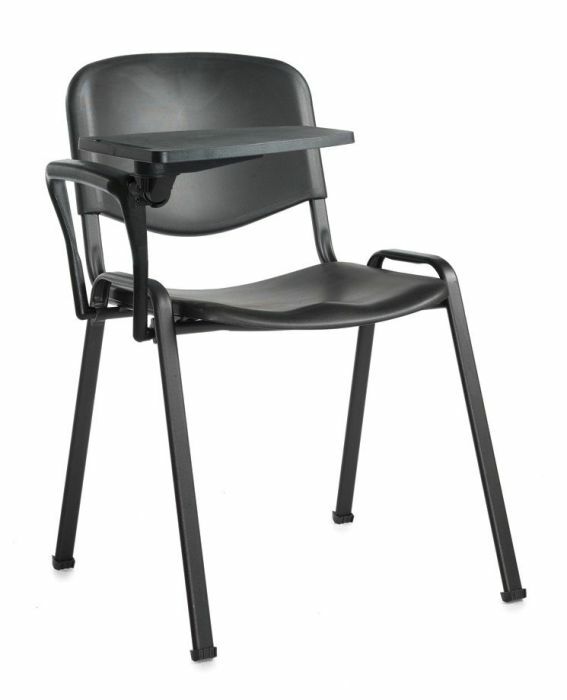 Stackable poly conference chairs with writing tablets. These chairs are lightweight and available in three popular colours. Available from stock for a free next day delivery.